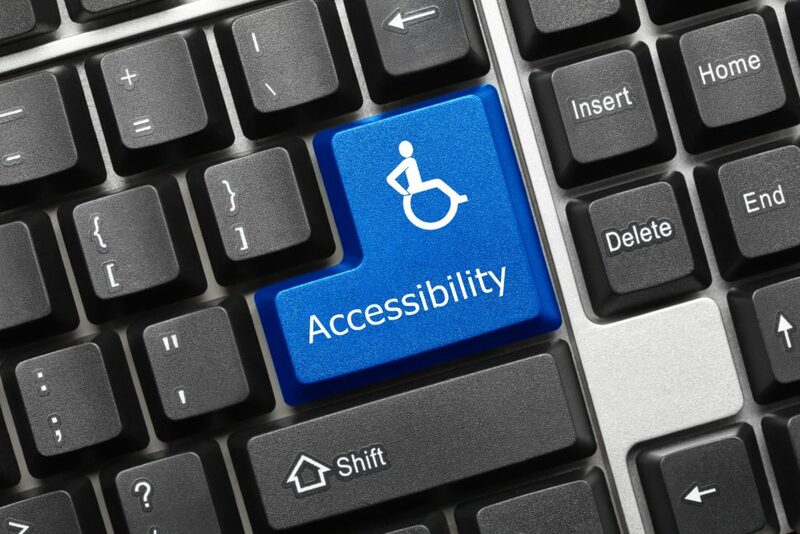 Improving access for individuals with disabilities to valuable information and tools is always a necessary and worthwhile endeavor, but rarely is it more important than when the tools and information in question are directly related to protecting the health and safety of people and the environment. Ensuring that students and employees on college and university campuses have equal access to safety and compliance training is not only a legal requirement, it’s also a vital part of maintaining a commitment to safety and efficiency in campus operations. The increased use of e-learning and other technologies in environmental, health and safety (EHS) training programs presents both new opportunities, and new struggles, for creating and delivering effective and engaging training content that is available to all learners. those with disabilities, both on the job and off. What’s more, both the rates of disability and the odds of an injury increase with age. This means that as the average age of both student populations and the general workforce continues to rise, the odds of injuries on campus increase as well. Fortunately, research also suggests that this disparity in injury rates can be completely eliminated with some basic accommodations, including ensuring that all employees have access to appropriate safety training and equipment. 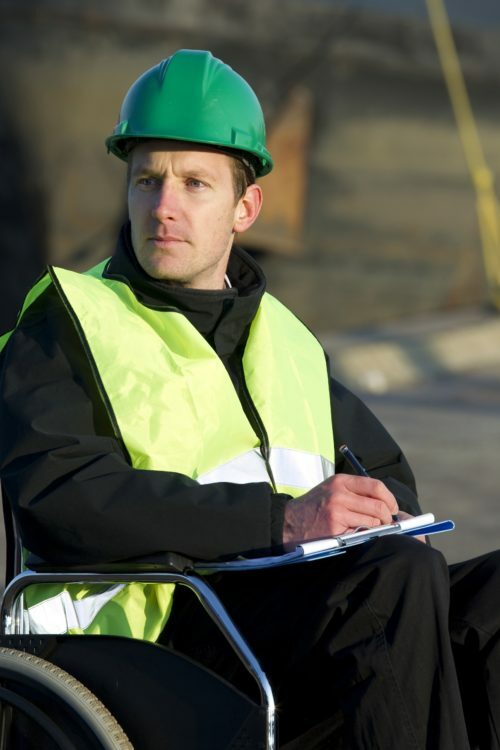 Safety training is a fundamental part of any comprehensive EHS program. Training not only provides vital information about how learners can protect themselves and others while on the job, it also helps to ensure that everyone is aware of the best practices for running a safe, efficient and harmonious operation. Effective training has been proven to reduce costs, improve productivity and enhance worker engagement. Emphasizing training as a key component of a larger culture of safety and commitment to safety on campus has also been shown to have a major impact on employee attitudes and behaviors. It should be no surprise, then, that ensuring all members of the campus community have equal access to training courses and materials is crucial not only to the safety of each individual, but also to the success of any EHS initiative. Providing accessible safety training is also a legal requirement for many schools. Several laws, including the Americans with Disabilities Act and the Rehabilitation Act, require that publicly-funded colleges and universities provide equal access in education and employment opportunities to individuals with disabilities. In the past few years, the Justice Department and the Department of Education have both stepped-up enforcement efforts related to equal access laws, and several schools have faced major investigations, fines and punitive damages related to accessibility violations. In addition to the legal pressure, educational trends and market forces are pushing all educational institutions to emphasize diversity and inclusion as integral parts of campus life. Colleges and universities aren’t simply trying to avoid trouble with the feds, most are truly committed to staying ahead of the curve and providing the most welcoming and accessible environment possible for students, employees and the general public. When it comes to information technology, the regulations that most often apply are Section 508 of the Rehabilitation Act, which governs the rules for access to data and technologies provided by the federal government and its agencies, and the Web Content Accessibility Guidelines (WCAG), an industry-standard set of recommendations for making online content more accessible. 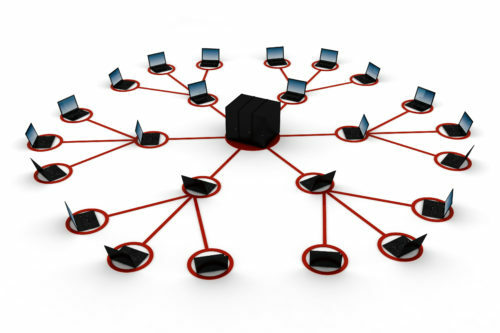 The WCAG 2.0 guidelines are expected to be incorporated into federal law in the near future. Educational institutions are also highly committed to occupational health and safety, environmental health and protection, and regulatory compliance. In addition to the everyday safety concerns found in any workplace, college and university campuses are often home to a wide variety of operations that can pose hazards to people and the environment, including complex and sophisticated research and development programs related to just about any subject you can imagine. Campus operations also fall under a wide range of legal and ethical requirements related to ensuring a safe, hospitable campus for students, faculty and staff, and to being good environmental stewards and responsible members of the larger communities in which they reside. For these reasons, colleges and universities have a long-standing appreciation for the value of consistent and effective training for employees, as well as for any students involved in hazardous or sensitive operations. Schools are some of the most thorough and consistent providers of EHS training, and they employ a wide variety of instructional approaches and delivery methods to provide it. More and more, however, they are turning to online, cloud-based training solutions to deliver at least a portion of their training content. The reasons for this shift are numerous. Online training courses are affordable, use time efficiently, and can provide consistent content delivery across multiple locations at the learner’s convenience. What’s more, e-learning technologies have advanced to the point where they can provide significant advantages for learner engagement and knowledge retention in certain subjects. Engaging multimedia content, interactive elements and adaptive scenario-based instruction and assessments have been proven to create better training outcomes, at lower costs, and with greater accountability than traditional training methods, across a wide range of topics. When done correctly, technology-based training solutions such as online courseware can increase accessibility and ease of use for all learners, including those with a wide range of disabilities. Unfortunately, that same technology can also increase barriers to accessibility if it was not properly considered in the design of courseware or learning management systems. And when designers do focus on accessibility, they often avoid inclusion of the very features that make online training so effective, such as multimedia and interactivity, because these features present additional challenges to achieving a universally-accessible product. 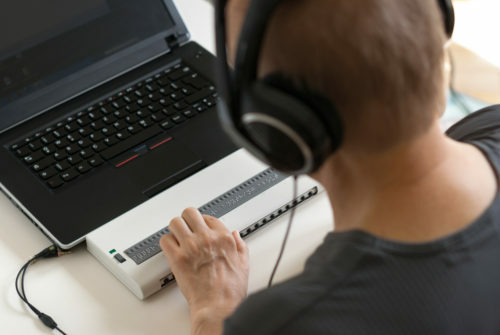 Computers and their software can be powerful tools for access and equality, but they can also pose significant barriers to entry for those with certain disabilities. 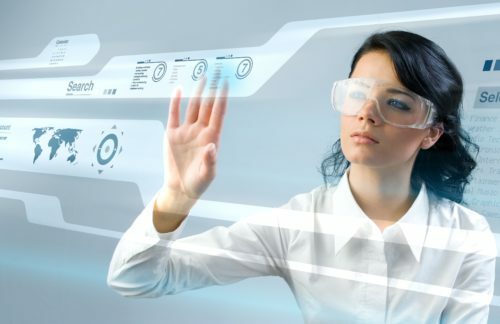 Common complaints regarding inaccessible software and online content include a lack of compatibility with screen readers and other assistive technologies, lack of visual or textual equivalents to audio content (and vice versa), and design and navigation features that are difficult to use for those with physical or cognitive impairments. Compounding the problem is the fact that many conditions that must be accommodated are not obvious. When discussing disabilities, most people think of what are known as “visible disabilities,” such as limited mobility and impairments to vision or hearing. There are also many so-called “hidden disabilities” that must be accommodated as well, including cognitive and neurological conditions that can impact communication, processing of visual and/or auditory information, memory, perceptual skills, concentration, and other factors. Many medical conditions can also cause chronic pain, intermittent or chronic fatigue, and intermittent or chronic cognitive or sensory impairments. A learner with dyslexia may have trouble processing written information, while a learner with an auditory processing disorder may have trouble processing and retaining verbal information. A learner with a low attention span may be more engaged by a course that presents information in multiple ways, while a learner with cognitive impairments may be overwhelmed by the increased cognitive load caused by multimedia presentations. Finding a way to balance these diverse and sometimes conflicting needs in order to make training accessible to as many people as possible, while simultaneously ensuring that the training remains effective and engaging, can be a tricky needle to thread. Providing accessible training is made even more difficult by the mass-market nature of computer-based courseware. An instructor delivering a standard training class in a classroom setting can easily identify which students need what sorts of accommodation, and can adapt each training session to meet the particular needs to the students in attendance. When developing a training course that will be used by thousands of students at hundreds of institutions over the next several months or even years, however, courseware designers do not have that luxury. They must attempt to anticipate and adapt to as many different learner needs as possible, even those that seemingly conflict with one another. creators of online courseware, it is not our place to tell people what they can and cannot achieve. People are capable of amazing things, and in anticipating the challenges they may face we must avoid falling into the trap of assuming that we know what obstacles they can and cannot overcome. New technologies are improving access to all sorts of activities and experiences every day, and training must adapt with these advancements. Safety and accessibility naturally go together, because at its core safety is all about improving access. When people think about safety they often think of onerous rules and boring procedures, but the truth is that safety is all about making things possible that weren’t possible before. Safety technologies and procedures are what allow us to explore the depths of the ocean, mine for uranium, or walk on the surface of the moon, and have a reasonable expectation that we will make it home in one piece. Despite the popular image, the job of the safety professional is not to tell people what they can’t do, it is to listen to what people want to do, or are already doing, and find a way to help them do it better. Sadly, many instructional designers, both those employed at the schools and those who sell out-of-the-box solutions, respond to these challenges by shying away from interactive scenarios, multimedia presentations and other powerful tools, in favor of older, text-based approaches. Sometimes this is because they simply do not have the knowledge or tools to make these elements accessible. Other times it is because they lack the time, budget, institutional support or personal motivation required to tackle these difficult challenges when an easier road is open to them. This is truly unfortunate because, as we said before, these are some of the most important elements of a successful e-learning product, and removing them often negates many of the benefits of adopting online training solutions in the first place. In fact, the U.S. Access Board’s Best Practices Committee identifies interactivity as “one of the most important elements in a successful e-learning program” for all learners, with and without disabilities. On the plus side, many of the best approaches to making e-learning accessible actually dovetail quite nicely with the goal of making the training effective and interesting. Breaking information into bite-sized chunks, ensuring that information is presented in as clear and concise a method as possible, and allowing learners to work at their own pace are all universal goals of good training design which also help to accommodate learners with a wide range of disabilities. Conversely, designing visual and auditory information in ways that are more accessible to learners with disabilities will usually improve understanding and retention for all learners. This means that instructional designers do not need to worry about the letter of the law as much as the intent. If they can come up with a better way to improve access or functionality, they have the freedom to do it. It also means that there is room to provide learners with choices. Instead of trying to create a one-size-fits-all solution, designers of e-learning software can provide multiple equivalent options and allow learners to choose the one that works best for their individual needs. In addition, accessibility is seen as a journey rather than a destination, and is more focused on helping the actual people who need access now rather than strict adherence to an arbitrary set of rules. This means that no product has to be perfect right out of the box, and that priorities can be identified based on the actual needs of users. Colleges and universities are free to purchase the products that best meet their current needs, and can work with vendors to improve their product offerings over time as needs change and as new technologies are developed to meet those needs. The voluntary product accessibility template (VPAT) allows vendors to provide more transparency about what their products can and can’t do, and the processes that they have in place for identifying and responding to accessibility gaps that currently exist. This not only makes the purchasing process easier for colleges and universities, and increases competitive marketplace pressure to encourage continual improvement from vendors. Several public and private initiatives have been established to further improve accessibility, and the Access Board and other federal agencies also “have laboratories that have been established to test products for compliance. Vendors have submitted their products for testing and received feedback on deficiencies and possible solution” with the goal of improving product compliance and sharing innovations across the industry. The accessibility landscape is quickly changing, and online EHS training must adapt to keep up with the demands of all customers, including colleges, universities and other federal agencies that must adhere to Section 508 and the WCAG 2.0 standard. It’s not only important legally and ethically, it is also increasingly becoming a fundamental requirement for staying competitive in the marketplace. What’s more, it is a fascinating and thrilling challenge that instructional designers should be excited to strive to meet. Improving accessibility for our products improves them for everyone, allowing us to provide ever-better training that can help more people do the things they want to do, safely.